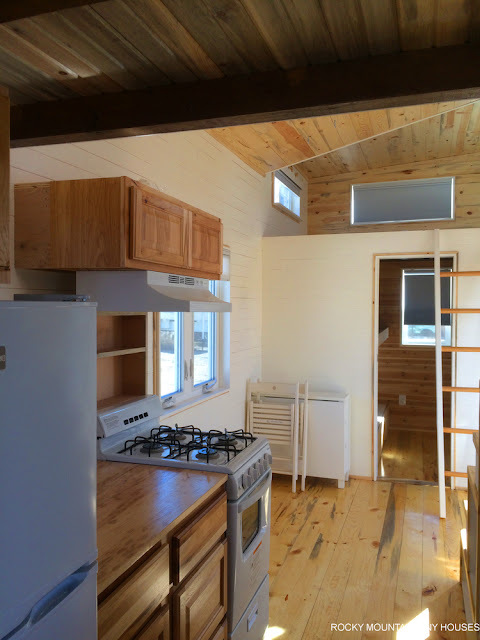 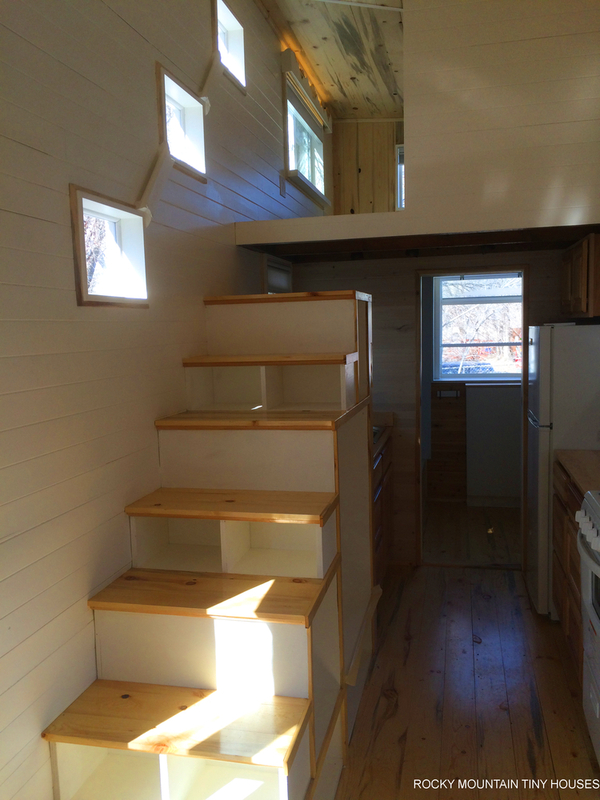 From Rocky Mountain Tiny Houses is the Wasatch tiny home. This cozy home features pine flooring, a ground-floor bedroom with bunk beds, a second bedroom in the loft, a full sized bathroom, a full kitchen, a second storage loft and plenty of windows to let in natural light. 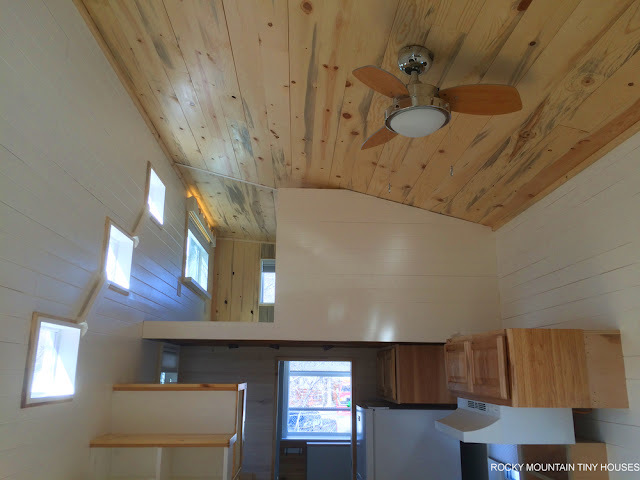 The home also comes winter-ready with spray foam insulation. 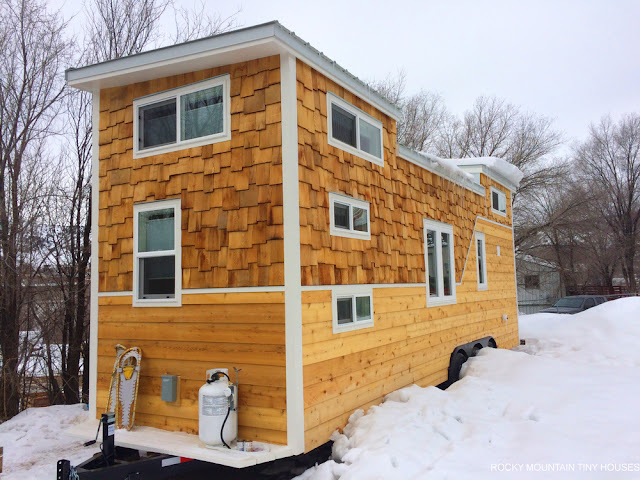 It sits on a GVW custom trailer and weighs around 11,700 lbs.